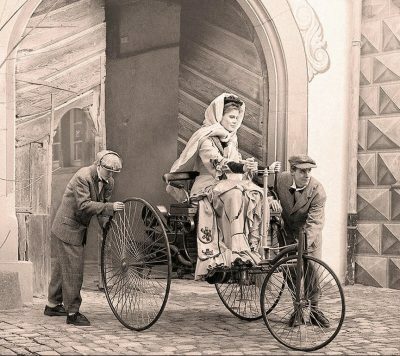 Bertha Benz (May 3, 1849 – May 5, 1944) was a German automotive pioneer. 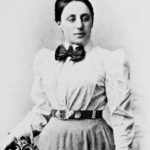 She was the business partner and wife of automobile inventor Karl Benz. In 1888, she was the first person to drive an automobile over a long distance. In doing so, she brought the Benz Patent-Motorwagen worldwide attention and got the company its first sales. Two years before her marriage to Karl Benz, she used part of her dowry to invest in his failing iron construction company. 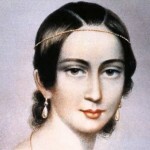 As an unmarried woman, she was able to do so; after she married Benz, according to German law, Bertha lost her legal power to act as an investor. 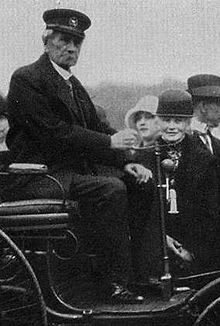 On 20 July 1872, Bertha Ringer married Karl Benz. As he moved on to a new manufacturing venture, Benz & Cie, he continued to use her dowry as financial support. He finished his work on his first horseless carriage in December 1885. Although Bertha financed the development process, and would hold patent rights under modern law, as a married woman she was not allowed to apply for the patent. 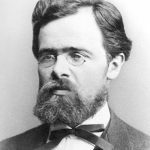 Together they had five children: Eugen (1873), Richard (1874), Clara (1877), Thilde (1882), and Ellen (1890). In 1886, Benz presented the Patent Motorwagen automobile to the world. Within the decade, 25 vehicles had been built. 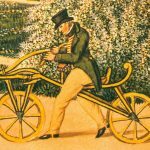 With cutting-edge bicycle constructions, the Model I was the original Patent Motor Car and the world’s first automobile. The Model II was converted to a four-wheeler for test purposes, making it the only one of this model. The first Patent Motor Car sold in small production runs was the Model III. It had powered rear wheels with a ringed steel and solid rubber, steerable front wheel. Various options were provided for customers to choose from, such as seat arrangements and a folding top. 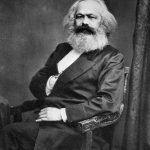 However, while Karl was a genius engineer, he was neither a businessman nor a visionary. His ambition for his car was so limited he didn’t even think to fit it with a fuel tank. Bertha saw its potential more clearly. 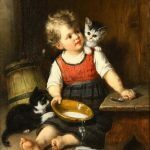 Which is why one morning in August 1888 she crept downstairs with her two sons Eugen and Richard and left a vague note on the kitchen table saying she was taking the boys to see her mother for a few days. She made no mention of how she planned to get there. Before this historic trip, motorized drives were merely very short trial drives, returning to the point of origin, made with mechanical assistants. Following wagon tracks, this pioneering tour had a one-way distance of about 106 km. 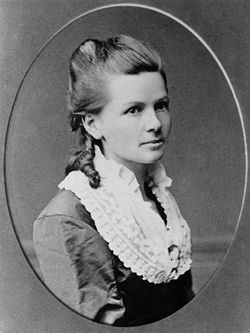 Although the ostensible purpose of the trip was to visit her mother, Bertha Benz had other motives: to prove to her husband—who had failed to consider marketing his invention adequately—that the automobile in which they both had heavily invested would become a financial success once it was shown to be useful to the general public; and to give her husband the confidence that his constructions had a future. So, a few days later the Benzes returned to Mannheim by a more direct route with no known troubles save the Motorwagen’s brake shoes wearing out. These were covered in leather by a local cobbler, thereby inventing the brake lining. History does not recall the expression on Karl’s face when she returned, but one would hope it was mixture of pride blended with disbelief. 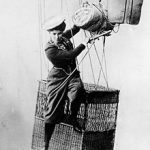 Bertha’s journey proved many things, not least that a woman was every bit as capable of handling one of these newfangled contraptions as a man. She proved the car was a tool, not a toy, and that her husband had created probably the single most important invention in the history of transport with the exception of the wheel. The drive was a key event in the technical development of the automobile. The pioneering couple introduced several improvements after Bertha’s experiences. She reported everything that had happened along the way and made important suggestions, such as the introduction of an additional gear for climbing hills and brake linings to improve brake-power. Her trip proved to the burgeoning automotive industry that test drives were essential to their business. Bertha lived until 1944, dying at the grand old age of 95. Today anyone can go to Mannheim and retrace her steps by following the signs of the Bertha Benz Memorial Route. 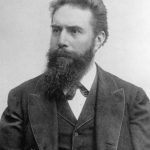 It would be worth doing, just to gain some sense of what this extraordinary pioneer and one of the most important people in the history of the car achieved 125 years ago.